Cabin Discounts Available! Choose our semi-all inclusive RADDeal add on for our lowest rates as they may reduce your cabin rates by 20%. 20% cabin discount is currently available for reservations made after April 16, 2019 for dates of stay through Dec. 21, 2019 and after Jan. 5, 2020 (10% cabin discount available from Dec. 22 to Jan. 5 2020) ! RADDeal cabin discounts for dates of stay after Dec. 21, 2019 through Jan. 5 are 10%. When comparing our rates to other hotel’s rates, please make note that all applicable taxes are included in our nightly rate saving you 17%. In some cases other hotels add up to 17% to their nightly rate. Be sure to add that to their quoted rate where appropriate. Pre-book and walk in rates can vary. Pre-book direct with Little Corn Beach and Bungalow to insure availability and take advantage of lowest possible rates. We accept Visa, American Express, Discover and MasterCard (convenience fee applies). If you would like to avoid this rather hefty fee (12% for card use here), we also accept US Dollars and Nicaraguan Cordobas for your on arrival payment and incidentals. We only accept the confirmation prepayment in USD (Prepayment in other currencies will have exchange rate adjustment and bank fees alter total credited prepayment). Check in payments are payable with credit card (12% fee applies for card use here) or Nicaraguan Cordobas or United States Dollars. Banks and thus businesses in Nicaragua accept only Cordobas or clean, not torn, un marked, good condition US$. We recommend you bring money you will be able to use. 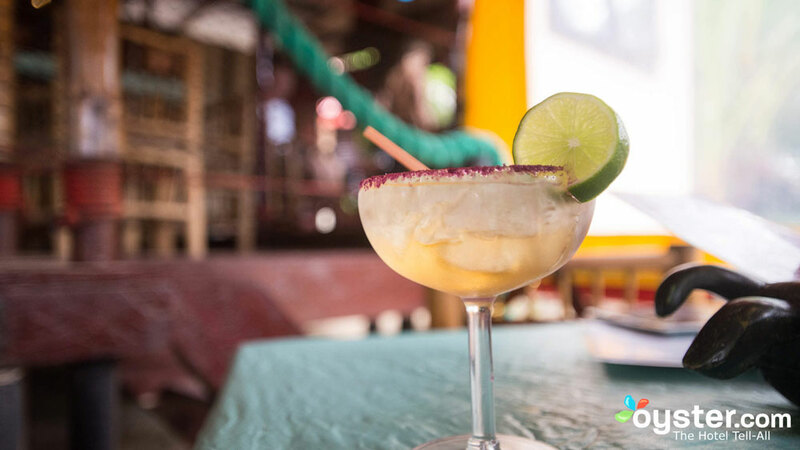 Little Corn Beach and Bungalow’s Semi Famous Margarita… Waiting for You! “We opted for the RADDeal package and received very special service . . . Choose the RADDeal and SAVE money on EVERYTHING at Little Corn Beach and Bungalow! Remember to calculate the current (currently available for reservations through the end of August, 2019) 20% cabin rate savings that applies with the RADDeal when considering value. For full details on the RADDeal, please click here to view the RADDeal page. We also strongly urge a guest considering confirming a reservation with Little Corn Beach and Bungalow to read our cancel/refund policies and to purchase Trip Insurance! Making your non refundable prepayment guarantees your stay at the locked in current rates and benefits for cabin and RADDeal. Should rates go up (or down) your locked in rate will remain the same. Changing rates, changing offers or specials will not apply. Little Corn Beach and Bungalow is located on the remote tropical island paradise know as Little Corn Island. 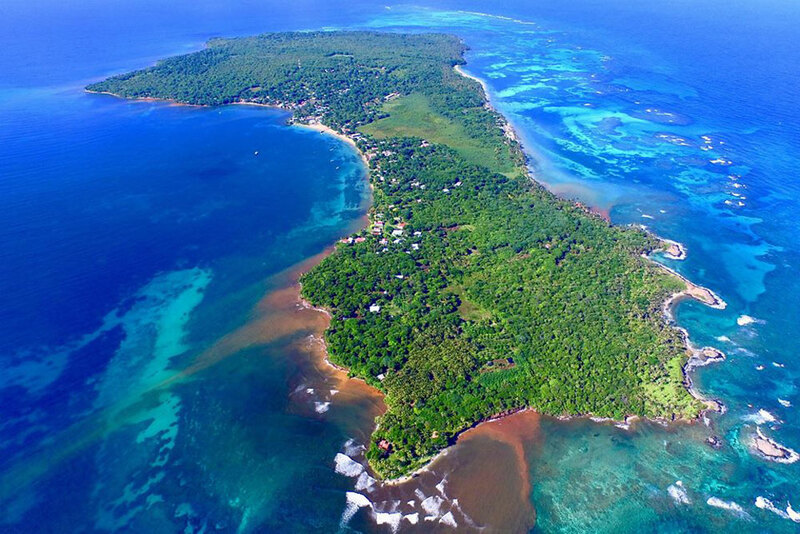 Just off the east coast of Nicaragua, Little Corn Island is in the middle of the beautiful blue Caribbean Sea home to Little Corn Island Beach and Bungalow's beach front boutique hotel and resort. How Do I Get to Little Corn Island? 2017 © Little Corn Island Beach & Ocean Front Boutique Hotel Resort Eco Lodge Cabins Bungalows & Restaurant. All Rights Reserved.